Rio de Janeiro is the second largest city in Brazil and third largest in Latin America, with six million inhabitants. It’s the capital of Rio de Janeiro state, an important Logistical Hub, with five ports and three airports (including the second largest in the country and one of the only with expansion capabilities). The city is also home to some of the main companies in the country and a hub for important sectors, such as Oil and Gas, Information and Communication Technology, Research and Development and Tourism. 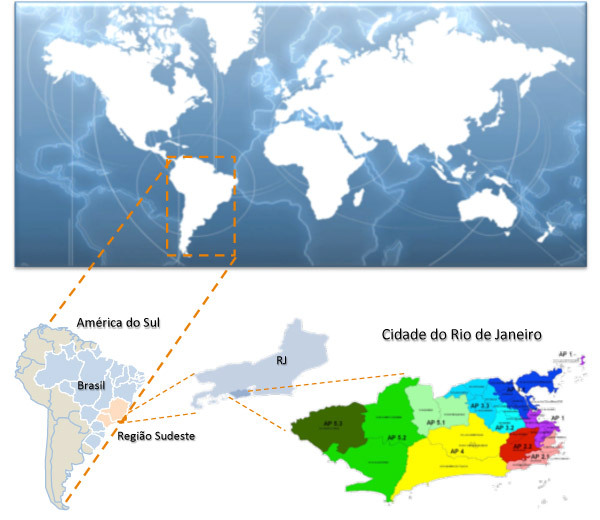 Within a 500km radius of Rio is concentrated 56% of Brazil’s GDP. The city represents 50% of the GDP of Rio de Janeiro state (USD 60 billion), with the lowest unemployment and highest investment rates in Brazil, as well as gather 25% of all foreign investment in the country. Over the next few years, R$ 614 billion in investments are projected, representing an increase of 59% in comparison with the 2006-2009 period. The Oil and Gas sector alone corresponds to 62% of these investments. The four main sectors (Oil and Gas, Mining, Steel and Petrochemical) represent 84% of future investments in the country, and have Rio as a strategic capital.